I love how versatile tacos can be. Shrimp, fish, chicken, potatoes, steak, pork—you name it, it can go in a taco shell. Hands down, our family favorite is this pulled pork taco recipe made with Perfect Pulled Pork. 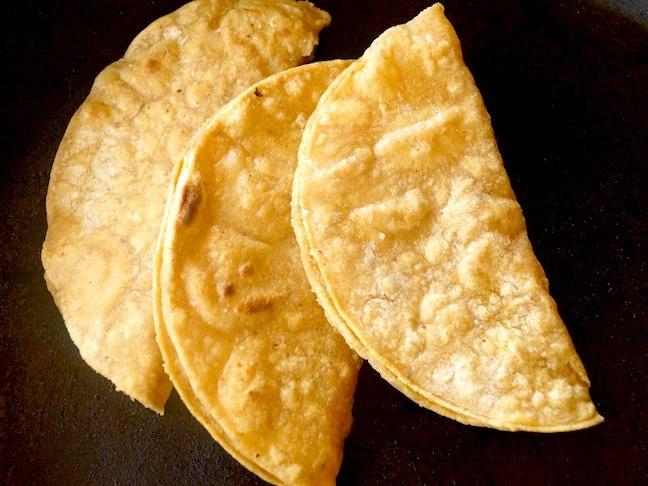 I make the taco shells with corn tortillas (perfect for my gluten-free son), and serve them right out of the pan. I set up all of the “fix-ins” in small bowls on the dinner table, and everyone adds what they like. 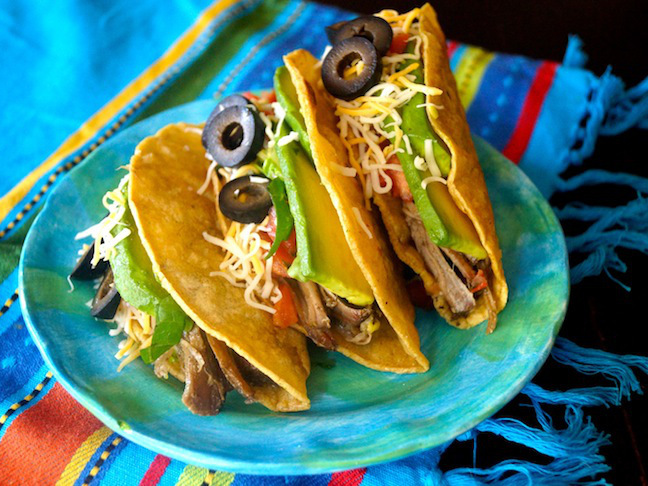 One of my sons skips the avocados, the other skips the salsa—and both always add the pork. Why? Well, it’s fantastic! A crowd-pleasing & colorful dish you'll come back to again and again. Step 1: Coat the bottom of a large sauté pan with the oil and place it over medium-high heat. Add as many of the tortillas as you can fit. Sauté each side for a minute or so, until they are crisp. Step 2: Use kitchen tongs or a fork to fold each one in half. 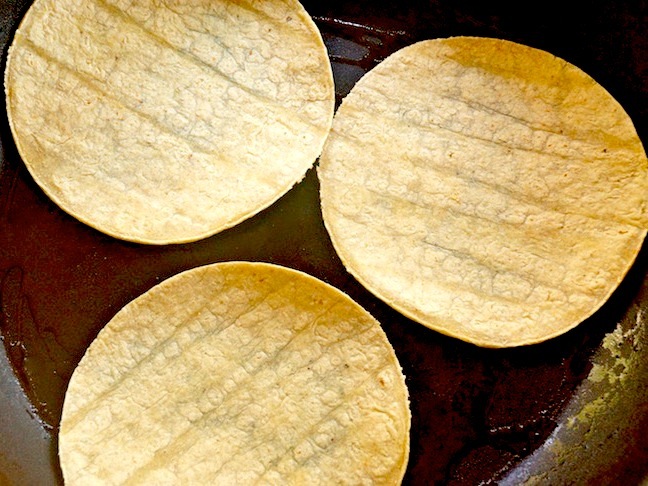 Repeat until all of the tortillas are done, placing them on a large plate as you go. Cover with foil and set aside. 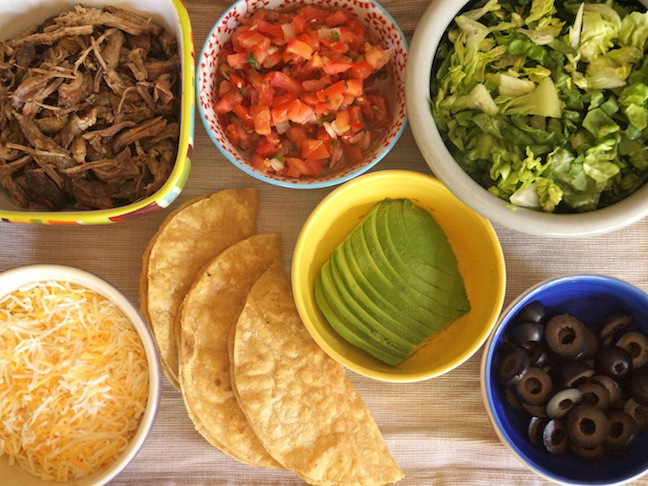 Step 3: Fill the prepared taco shells, evenly distributing the ingredients in the following order: Perfect Pulled Pork, lettuce, salsa, avocado, and cheese.